Portrait photographer Steve Gubbins has been building his skill and reputation for 30 years. Steve’s creative and artistic skills are expressed not only in his photography. He creates unique ceramics and works mainly in porcelain. Often combining the finess of the material with texture. His photographic abstracts are bought by both business and home-owners. Steve also runs Portraiture Master Classes in the UK and Europe. Steve has a unique and unsurpassed talent in capturing the life and vitality from the very essence of his client’s personality. His diverse portraits present a distinctive combination of contemporary, exciting imagery and are a refreshing departure from the bland portrait style used by many photographic studios. Steve uses his talent and creativity to give you, his client, more individualism and choice in your portrait. 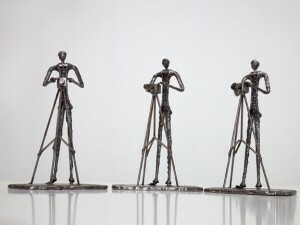 Recognition from world-leading photography industry organisations has come from awards won as well as client accolades. Steve holds the coveted double platinum award for “Photographer of the Year” for Family and Individual portraits (sponsored by Fujifilm). The criteria set by the judges includes: style, lighting, composition, expression, cohesion of a group, framing and particularly the ability to capture the spirit of his subject. 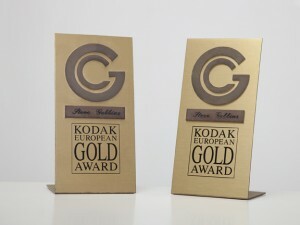 Steve is also a multiple Winner of the Kodak European Gold Awards. This recognition by clients, peers and the photography industry ensures your portraits will be of the highest quality. Steve Gubbins Studios creates a relaxed environment for portraits. The experience is enjoyable; a master portrait photographer Steve takes time to ensure you will be delighted with your portraits.